A picture taken while standing out on the mudflats at the top of Loch Indaal at low tide. Barnacle Geese are resting along the shoreline, some on the mudflat, some on the grass along the shore. Others have taken flight, having been spooked elsewhere. The Paps of Jura towering over the scene in the background, also the John Francis Campbell Monument on the right. 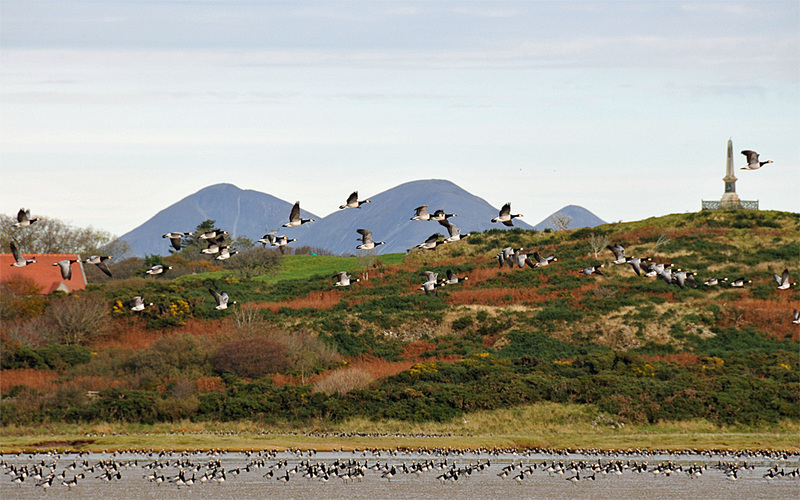 This entry was posted in Cloudy Weather, Landscape, Repost, Sea Loch, Wildlife and tagged Barnacle Geese, Islay, John Francis Campbell Monument, Loch Indaal, Paps of Jura by Armin Grewe. Bookmark the permalink.